Toddlers. Do you have one or two or more of them at home? I have one! And he's turning four in a few months' time. Toddlers this age have some sort of energy reservoir that never seems to run out. They can play and talk non-stop the whole day. I found an excellent avenue to let him spend his energy in a good way. So, he's sent on an "adventure" at BeeBop Circus - a Movement Learning Center that offers play gym and dance classes for children! In short, BeeBop Circus is a play gym for children. However, it's not a play gym where your child hops and runs around aimlessly just to kill time. BeeBop Circus recognizes that all children are born with an insatiable desire to play, so they aim to help parents and children turn play into valuable learning experiences. Developed by a team of early childhood educators and fitness instructors, BeeBop Circus is a Movement Learning Center that focuses on four developmental areas: Active Bodies, Creative Minds, Morals & Values, Soft Skills. 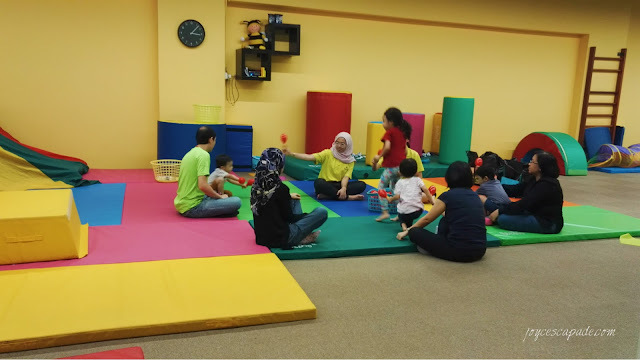 They provide carefully structured developmentally appropriate thematic lessons/programs to develop children holistically, whereby both their left and right brain are stimulated through exploration and active movement. Each structured lesson features music, dance, colors, numbers, moral values, and physical activity. At the same time, critical life skills are developed through child-centered, non competitive approach. First thing first, how do you know which class your child should attend? Well, every child develops at their own unique pace. 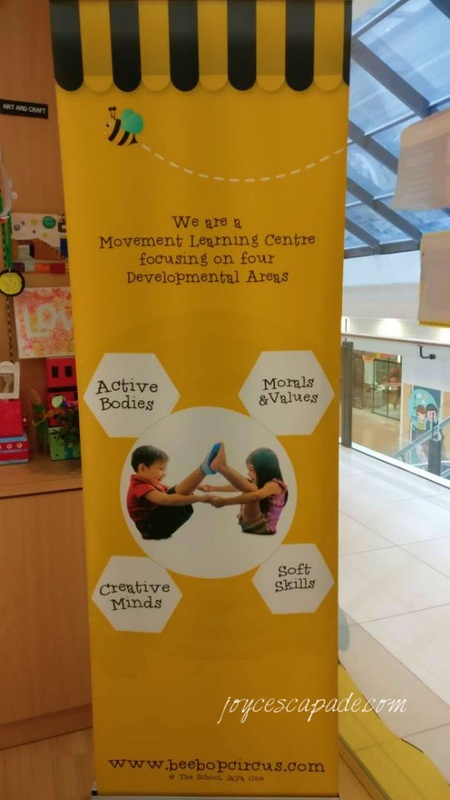 So, it'd be good to give them a call and book a slot for free consultation and individual assessment to find out which class is best for your child. There's a rough guideline though, i.e. 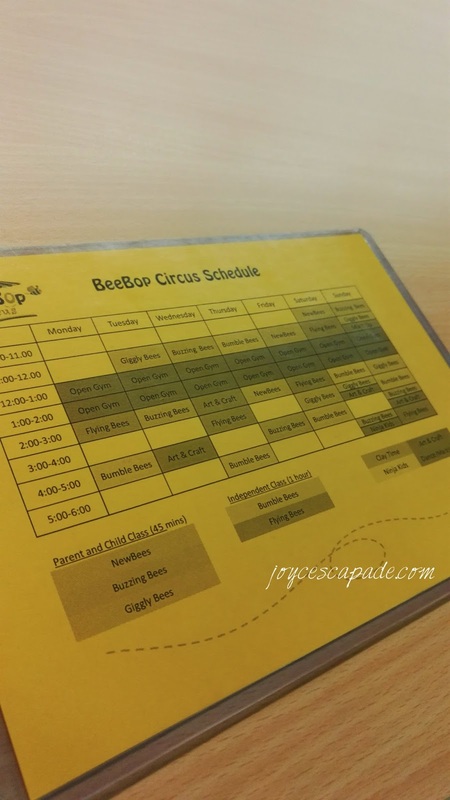 when your child can walk (usually by 12 months old and above), you can bring them to BeeBop Circus already. For children under four years old, they can attend one of these parent & child classes: Newbees, Buzzing Bees, Giggly Bees. Depending on your child's age (this is the first deciding factor), he/she will be slotted into one of these classes. My toddler is about to turn four years old and since he hasn't joined any BeeBop Circus class before, he's placed into Giggly Bees, the final parents & child class before he "graduates" to independent classes. In general, parent & child classes emphasize bonding and trust between parent and child through active play. As they move up, they gain independence as children-centric activities encourage them to explore and learn. Check out BeeBop Circus classes here. My toddler joined Giggly Bees classes for four Saturdays. We could see significant improvement - from being aloof, disinterested, and challenging the teachers by questioning their instructions, he finally joined in the activities willingly without being asked to. He's advanced in his speech among his peers so he's always one of the first to answer the teachers' questions. By the third class, he was independent enough to go through the entire class routine without my supervision. The gym teachers were very experienced and the weekly theme with its associated activities and discussions were engaging. Highly recommended!